1 South Korean men watch a TV news program reporting that U.S. 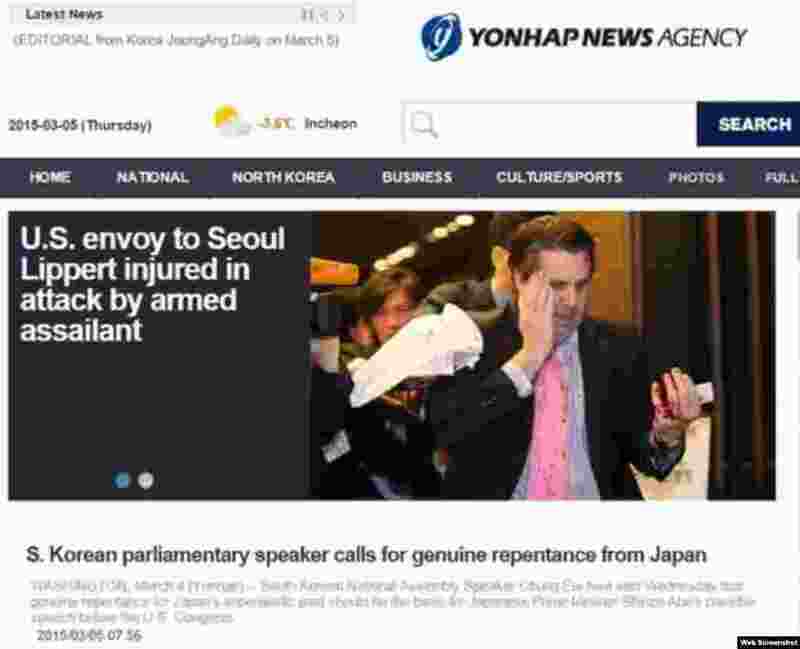 Ambassador to South Korea Mark Lippert was injured in a knife attack in Seoul, March 5, 2015. 2 Yonhap news agency reported that the U.S. ambassador to South Korea, Mark Lippert, was injured in an attack by an armed assailant in Seoul. 3 U.S. 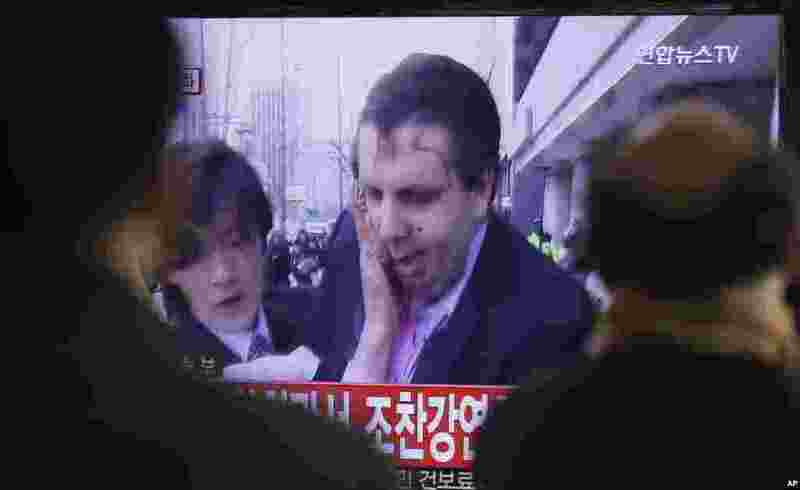 Ambassador to South Korea Mark Lippert covers a slash on his face as he leaves the Sejong Cultural Institute in Seoul, after he was attacked by an armed assailant, in Seoul, March 5, 2015. 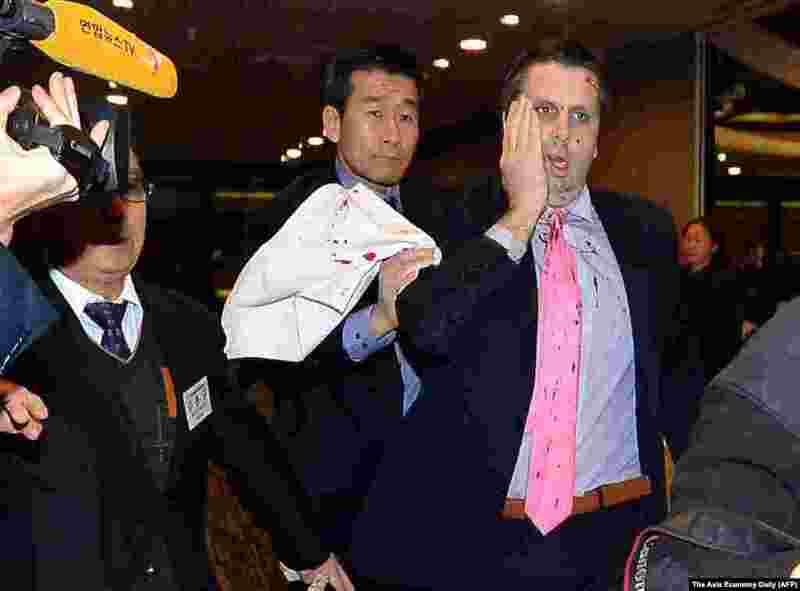 4 A man (bottom center) who attacked U.S. ambassador to South Korea Mark Lippert is detained by police at the Sejong Cultural Institute in Seoul, March 5, 2015.